Back in the Sands of time, when Geek Pride was but a few months old, I had the chance to talk to a gent about his journey to restore the iconic Lars Homestead in Tunisia (INTERVIEW HERE). 4 years on and I cant get rid of the guy! Always talking to me about awesome things he’s doing, people he’s met, signatures he’s got for his posters from 3 rd stormtrooper on the right in death star scene 4 and making me feel DIY useless when he posts up pictures of all the awesome stuff he makes… JEEZ MARK… I GET IT! In all seriousness though, my good friend and Star Wars fiend, Mark Cox, has brought me to the attention of a great, and worth while new project, he is a part of, called: The Biker Scout Helmet Project. In short, RS Studios have sent out 35 Helmets to artists and Prop makes around the world to customise as they see fit, and all for free. with the aim to auction them off for charity; how awesome is that?! 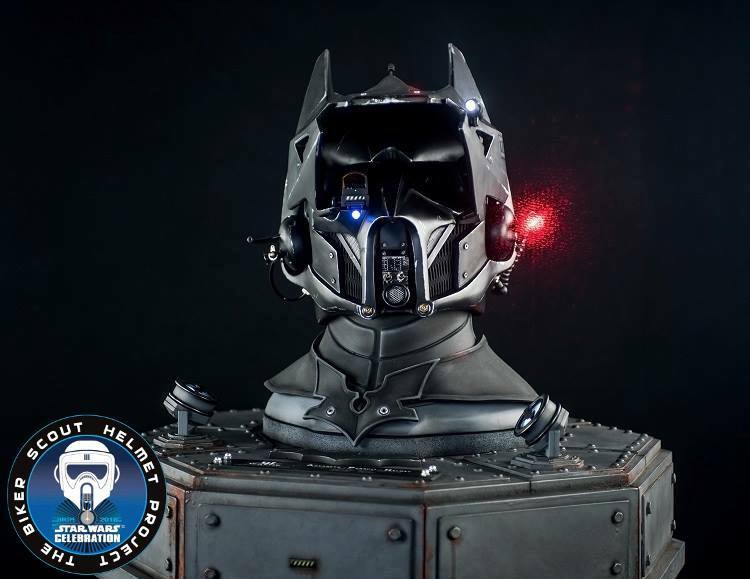 Check out some more of the costume helmets and the Full Press Release below; and make sure to check them out, in person, at this years Star Wars Celebration, at Excel London. 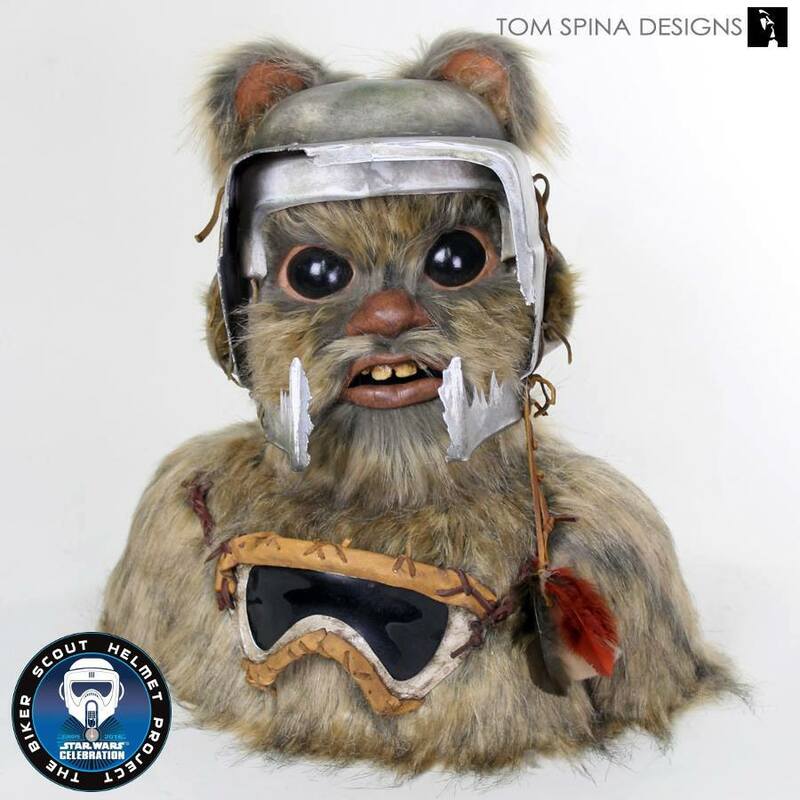 After previous and very successful Charity Helmet Projects like the “As you Wish” Helmet project, this year you will get to see the iconic Biker Scout Helmet from Return of the Jedi as you’ve never seen it before !! 35 Biker Scout Helmets donated by RS Studios have been sent to various Artists and prop makers around the world with the instruction to customise the helmet as they please, the artists giving up their free time then donate their finished designs back the Project for a Charity Auction. Exceptional Artists with extraordinary talents like Tom Spina Designs, Mars Visions, FBFX studios, Order66 Creature and Designs along with a whole host of other equally talented artists have come together to create a display that has never been seen at a UK convention before. 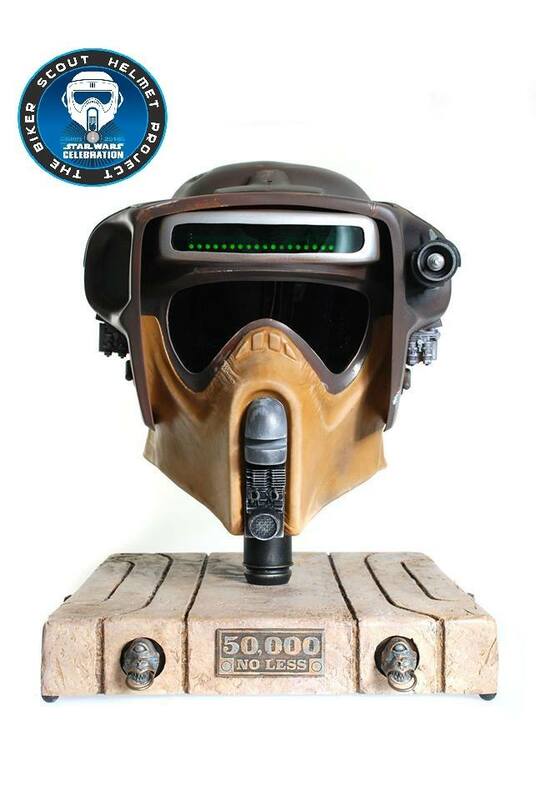 Endorsed by Lucas Film Ltd and The Replica Prop Forum, supporting the Charity initiative Star Wars Force For Change, the Biker Scout Helmet Project will be auctioning these stunning one of kind custom helmets for Make-A-Wish UK during and after Star Wars Celebration London, everyone is free to bid on their favourite design. 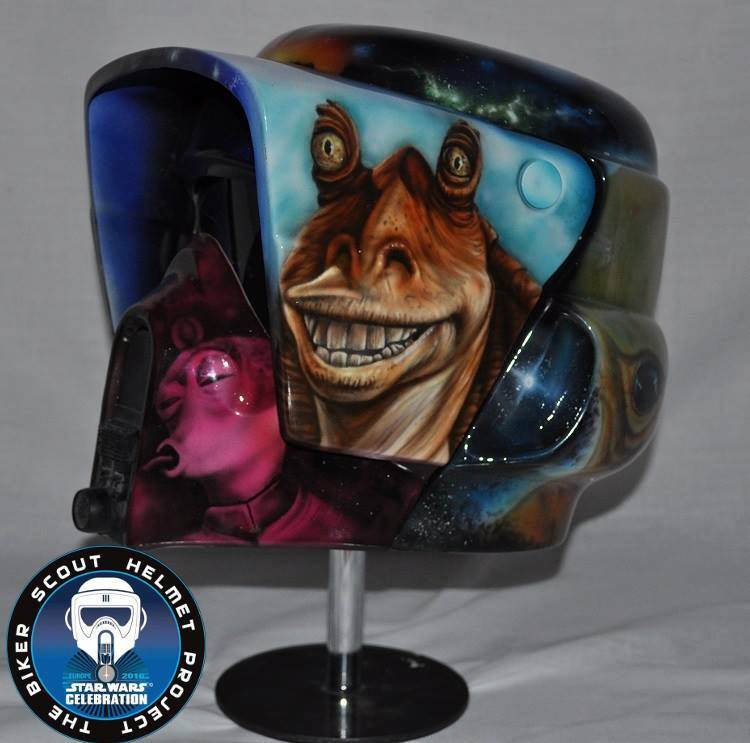 Be Sure to pop along to our Stand at Star Wars Celebration, Excel Centre London to view the helmets and meet some of the artists you will be amazed at some of these creations that have been built and to top it off, some of the Helmets have Celebrity Endorsements attached to them too. Epic Halloween Light Show Including Bohemian Rhapsody Nails It!